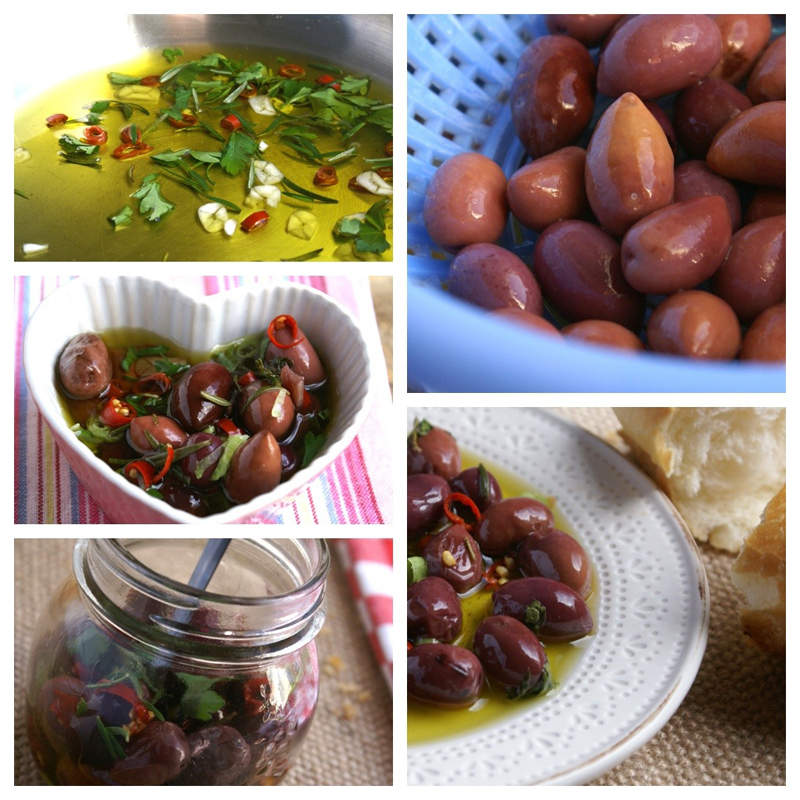 Hot Olives – A few weeks ago I was on a business trip in the bustling metropolis of Johannesburg, Guateng. The City of Gold has plenty of interesting foodie places well worth seeking out…Some colleagues and I ended up in a very interesting restaurant that serves both gossip and glitter to the well-heeled of Parkhurst and surrounds. We ordered a few small starters to share and one of them was hot olives with baguette. Never in my life would I have thought of heating olives in olive oil – isn’t that kind of like smuggling sand in the desert? Well, just so you know, this little starter tapas was so delicious. Heating the olives gives this stone fruit an undeniably new dimension. 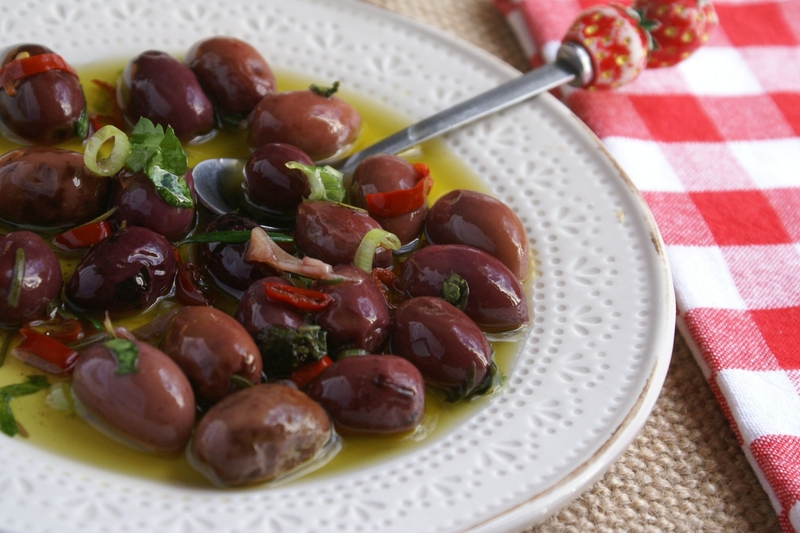 Dipping the fresh baked bread into the fragrant hot oil just seems to forge with the olives… leaving a most tantalizing taste….wash this down with some chilled wine and you could swear that you were sipping wines with the gods of ancient Greece! It is just one of those really simple dishes you can make on the run or when guests come knocking unannounced…simple yet oh so sophisticatedly #hot-and-happening. 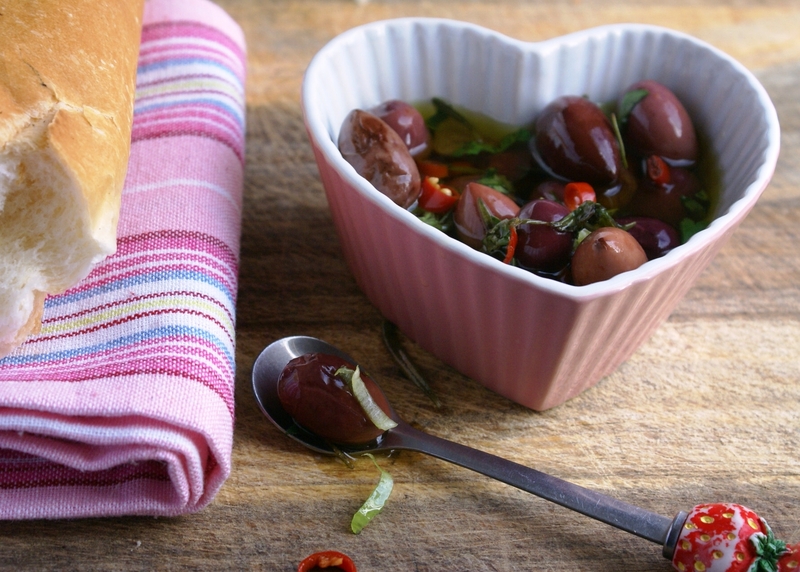 Heat the olive oil, rosemary, chillies, parsely and garlic slowly in a pan for a 5 minutes minutes. Just to infuse the flavours with the oil. Add the olives and heat through for about 2 minutes. Add the spring onion at the end, give it a good stir + serve with baguette. At the recent Bloggers Indaba we received amazing goodie bags and one of the items in the giveaway was a Beetroot-Rhubarb-Fig-Balsamic-Chutney from Pick and Pay. I love rhubarb and figs and knew that I was going to love this chutney. Once back home, I tasted some of the chutney and it was just yummy. By chance there was also a punnet of beautifully ripe guavas staring at me from my fruit bowl on my kitchen table. I got thinking….one slice of ripe guava, a good chunk of camembert and topped with the chutney and coriander leaf or two. Wow…a kind of explosion of different, tropical tastes… again an unusual combination but oh so good…fresh and fun…you will be a fan too…try it! I don’t have specific measurements or recipe – just buy the mentioned ingredients, poor yourself a glass of wine + slice + play + enjoy!